County engineers and MnDOT hydraulics engineers have to wear many hats. One of them is maintaining culverts — the channels beneath roadways that facilitate passage of water and wildlife. But culvert maintenance is practically a field of knowledge unto itself. To help engineers identify and apply the best repair techniques for specific problems, MnDOT recently produced a best practices guide for culvert repair (links below). “We wanted to develop a state-of-the practice and put it into one place so engineers could easily find the information they need,” said Lisa Sayler, MnDOT Assistant State Hydraulic Engineer. It might not always be the most visible or exciting issue from the public’s perspective — although, as the video above illustrates, occasionally it can be very visible — but culvert repair is a critical issue for transportation professionals. In fact, MnDOT submitted the repair guidebook as one of its choices for the AASHTO-RAC’s 2014 high-value research publication. Culvert repair practices have evolved significantly in recent years, so it can be difficult for individual engineers to keep abreast of new practices that come from a wide variety of sources. The guidebook draws from a wide range of sources, including the Federal Highway Administration, the National Cooperative Highway Research Program, AASHTO and numerous state DOTs. “We synthesized previous work and expanded it from there to provide more details and more quantitative guidance for some specific repairs. We tried to provide more specific design procedures than what we found in previous documents,” said project manager Bruce Wagener of CNA Consulting Engineers. In addition to providing detailed explanations of rehabilitation and repair methods, the guide includes a table that compares most methods of repair. Researchers will next conduct a brief feasibility study to identify which culvert repair methods can be observed and tested to document the cost, longevity and effectiveness of repairs. 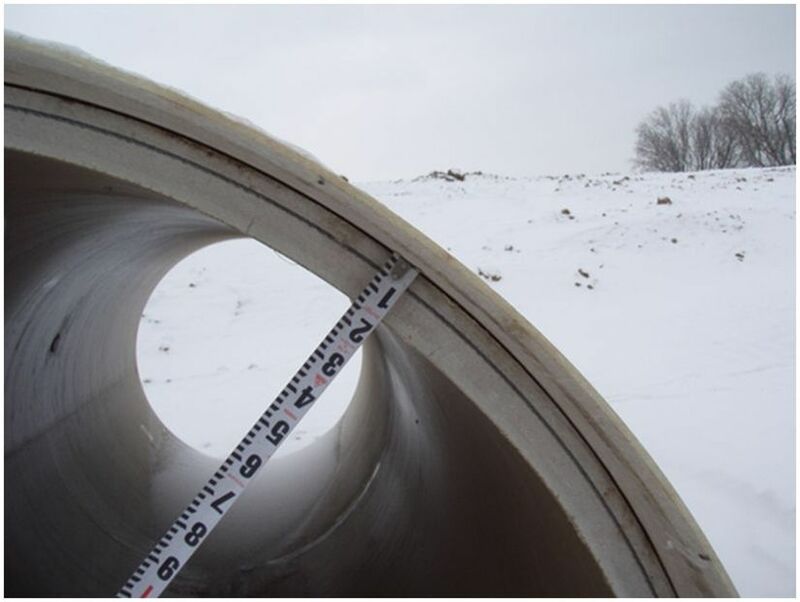 Sliplining, a common culvert rehabilitation method, involves inserting a fiberglass pipe liner (shown) or other material into a deteriorated culvert. Previous PostSoftware Tool Cuts Time to Analyze Twin Cities CongestionNext PostVideo: What causes congestion? This study is of great help to the plumbing community and the culvert engineers. All of this study will help identify on what type of approach works best on every situation. The MnDOT Office of Aeronautics and Aviation was recognized last month for the drone research project that also involved the Office of Bridge and Structures and MnDOT Research Services. The Humphrey School of Public Affairs, in partnership with the Bush Foundation, presented a State Government Innovation Award to recognize great work and to encourage an environment that allows agencies to deliver better government services to Minnesotans through creativity, collaboration and efficiency. The project, titled Unmanned Aircraft Systems (UAV) Bridge Inspection Demonstration Project, found that using drones for bridge inspections improves safety, lessens traffic disruption and reduces work time. For one type of bridge, inspection time shrank from eight days to five. In the video, Jennifer Zink, MnDOT state bridge inspection engineer, explains the project, along with Tara Kalar, MnDOT associate legal counsel; Cassandra Isackson, director of MnDOT Aeronautics; and Bruce Holdhusen, MnDOT Research program engineer. The initial drone project drew significant media coverage and a lot of attention from other state departments of transportation from all over the country. A second phase of the project was approved year and is currently underway. A third phase is already in the planning stages. See how researchers at the Roadway Safety Institute (RSI), led by the University of Minnesota, are working to reduce crashes and save lives on our nation’s roadways in a new video. The video features RSI director Max Donath and researchers from across the region who are working on a breadth of projects, ranging from reducing crashes at rail grade crossings to improving road safety on tribal lands. The video also highlights a few of RSI’s education efforts, including a museum exhibit designed to introduce preteens to safety concepts. RSI was established as the Region 5 University Transportation Center in 2013 and is housed at CTS. MnDOT is a key partner for RSI, funding a variety of safety-focused projects by RSI researchers. For more information about RSI, visit the Institute’s website. Crossroads is a collaborative effort among MnDOT Research Services & Library, the University of Minnesota’s Center for Transportation Studies and the Minnesota Local Road Research Board. This jointly produced blog is devoted to highlighting the latest news and events in transportation research and innovation in Minnesota. © 2015. All rights reserved. Review our full disclaimer and copyright statement here.